London (AFP) - British Prime Minister David Cameron Saturday condemned as "appalling" the purported killing of a Japanese hostage after the Islamic State (IS) group released a video. 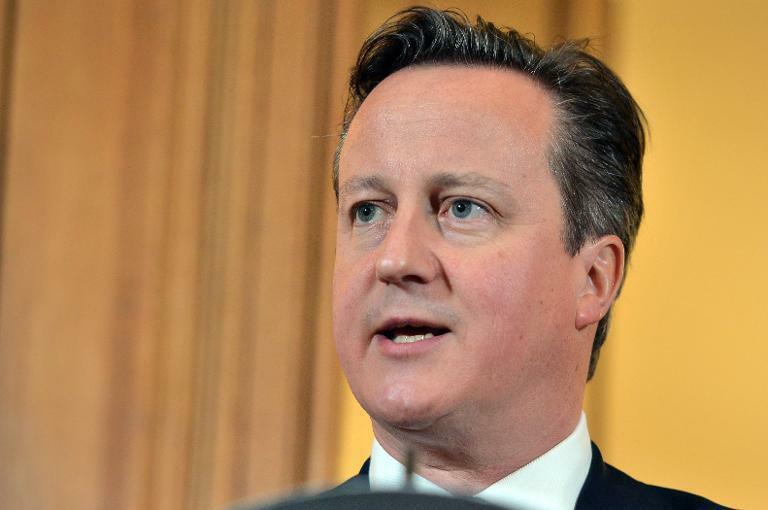 "I utterly condemn what appears to be the despicable and appalling murder of Kenji Goto," Cameron said in a statement. "It is a further reminder that ISIL (IS) is the embodiment of evil, with no regard for human life." A masked man with a British accent is shown in the video blaming the Japanese government for Goto's "slaughter". Cameron added that Japan was "right not to bow to terrorism" following the killing of Goto and another Japanese citizen, Haruna Yukawa. "The way we will defeat ISIL is not by giving in to these terrorists but by confronting them and their poisonous ideology," the British leader said. Britain had been working with Japan to share knowledge of handling hostage situations, government officials said last week. Two of its citizens, David Haines and Alan Henning, were killed by the IS group last year.